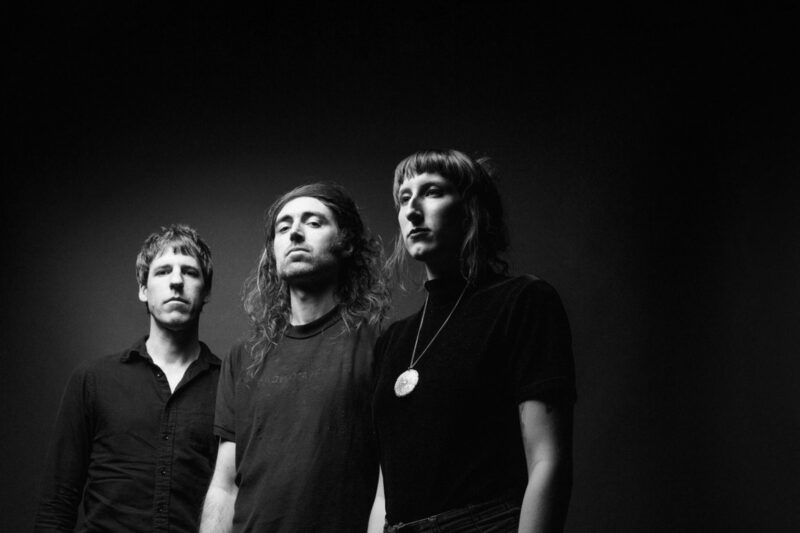 A Place to Bury Strangers has been destroying stages and eardrums since their arrival upon the Brooklyn underground scene in 2003. By 2008 the trio (lead by singer/guitar-killer, Oliver Ackermann) had acquired their reputation as “the most ear-shatteringly loud garage/shoegaze band you’ll ever hear” (Washington Post), supported giants like The Mary Chain and NIN, and released their debut album. 10 years, 5 albums, numerous tours around the world and a few lineup changes later; APTBS are in the best form of their careers and have released, arguably, their most inspired record to date: Pinned. Pinned has all the ingredients you’ve come to expect from a APTBS album: beautifully sad melodies; rapid, relentless rhythms; and guitar tones that are illegal in some parts of the world. It also offers an array of new sounds and themes, unheard on previous albums. The addition of drummer Lia Braswell and her backing vocal capabilities is the most obvious new ingredient. The vocal interplay between the two is a joy to listen to and her voice against the sonic deconstruction, brewing throughout the album, creates a world unexplored by the band before. Another factor in the sound of the record is the way in which it was written. Death By Audio – the celebrated Brooklyn DIY space where Ackermann lived, worked and created with complete freedom – was forced to close its doors in 2014 and Ackermann had to hatch his songs somewhere else. It could be easy for APTBS to sit back and ride on their reputation for volume, strobe lights and guitar execution but for years they have reinvented their live shows; keeping everyone (including themselves) on the edge of their sonic seats. This is a band that has constantly managed to push themselves and their audience with a “take no prisoners” attitude and a fierce need for innovation, creation, recreation and incineration. We can’t wait to welcome them to Cape Town at Endless Daze 2018.